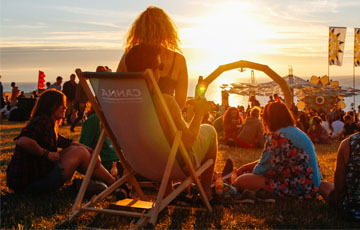 Environmentally sensitive caravan and camping park, Lands End, Sennen Cove, Penzance. At Cornish Holiday Cottages we pride ourselves on our select portfolio of 60+ properties. Established since 1977 and still with our roots firmly in the Falmouth and Helford River area. Our vision for green holidays at Cutkive Wood is to sympathetically manage it in such a way that its beauty, it's diversity of fauna and flora flourish and it's inherent peace and tranquillity remains. Helsbury Park is the UK's leading dog friendly, self catering holiday accommodation. A place where you can eat good food with friends & relax in comfort, Winter or Summer. Let us help you plan your day, make your reservations organise you precious time. 4 star self catering harbour cottage and apartments. 200 acre working hill farm situated high on Bodmin Moor between the villages of Blisland and St Breward. We are a demonstration holding for both the Soil Association and the Westcountry Rivers Trust. As our logo says we've gone 'back to basics' - our 'free range' cattle graze the cliffs of our farm just 1.5 miles from St. Ives. Friendly guest house in Penzance town. walkitcornwall leads walks on the unique natural history, culture, industrial and nautical heritage of Cornwall through physically exploring sites and habitats on two circular walks per day totalling 7 miles. Based in St Hilary, Penzance, Simon Berryman has been hedging since the early 1980's. 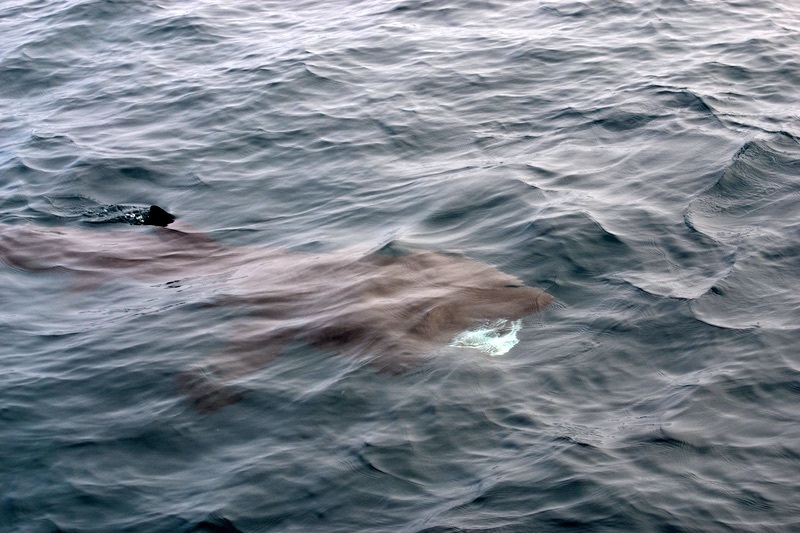 Deep sea fishing and sea safaris onboard the an eco-friendly catamaran The Atlantic Diver. You will find us secretly nestled into the entrance of the wooded Valency Valley just a few paces from stunning Boscastle Harbour, the quaint Old Village and the dramatic South West Coastal Path. Ethical local egg suppliers in Cornwall. The people of Cornwall alone consume around 100 million eggs each year. Then there's the additional amount consumed by our visitors. We have the choice between caged egg suppliers (above) and locally sourced suppliers who treat their hens with dignity and care. 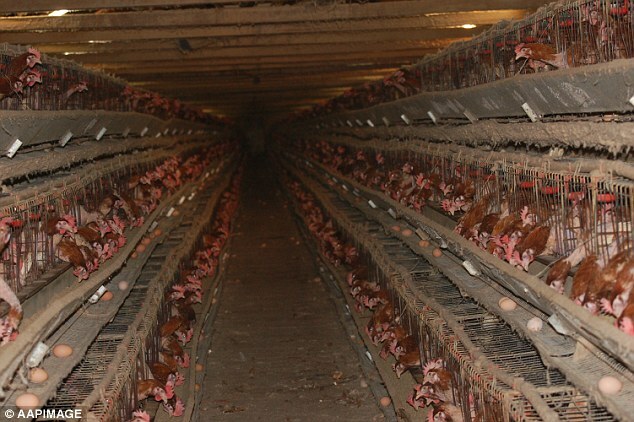 There is also a considerable nutritional difference between caged and free-range which may suprise you. Below is a list of ethical local egg suppliers in Cornwall. If you know of more, let me know and I'll add them. Twice as much omega-3 fatty acids. Three times more vitamin E.
Seven times more pro-vitamin A beta-carotene. A quarter less saturated fat. There is a high prevalence of vitamin D deficiency worldwide due to both limited sun exposure and inadequate dietary intake. Meat, including pork, is not typically considered a dietary source of vitamin D because modern management practices mean pigs are mostly raised in confinement. 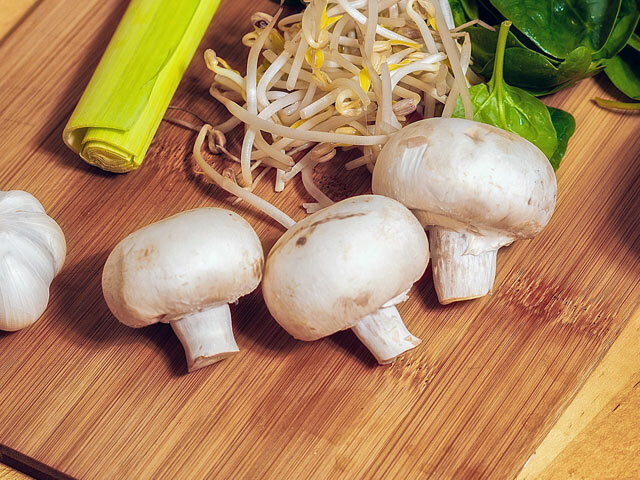 Mushrooms are a well known source of vitamin D but only if they are grown in daylight. Most supermarket mushrooms are grown in darkness to save product costs, increase profit and compete on price. Our skin produces vitamin D in small amounts when exposed to sunlight but we spend a large percentage of our lives indoors and even when we do venture out we liberally cover our skin with copious amounts of high factor sunscreen. This is a recipe for ill-health and most likely the reason why osteoporosis has risen from a largely unknown condition to a prevalent one and why 'fragility fractures' are increasingly affecting our aging population. There are more than 300,000 fragility fractures every year in the UK, including approximately 70,000 hip fractures. UK hip fracture rates are currently among the highest in the EU. Women aged over 45 spend more days in hospital due to osteoporosis than diabetes, heart attack or breast cancer: the annual cost of hip fractures alone is £2 billion per year in the UK. Hip fractures are the most common cause of accident-related deaths in older people – 18% die within four months of a hip fracture; 30% within a year. A postmenopausal woman has a 50% chance of sustaining an osteoporosis-related fracture in her lifetime. Once a fragility fracture has occurred, the risk of future fractures at least doubles. Osteoporosis occurs due to insufficient levels of calcium in the bones; bones shrink and become more brittle. But a lack of calcium is generally not the reason for this, it's down to a lack of vitamin D that your body requires to take up and absorb that calcium. In a more natural lifestyle, when people worked the land more and grew more of their own food, not only were they exposed to higher levels of sunlight, the food they ate also did. Pigs were traditionally kept outdoors and the long days they spent in the sun meant that by the time a pig was slaughtered, usually towards the end of the year, it had built up a large reserve of vitamin D in both it's meat and especially in its fat. Lard was the staple cooking fat in days gone by and recent studies have blown away many of the myths that lard is bad for you. The problem is that there are two types of lard (and pork products in general); the product that comes from outdoor reared pigs and the commercial stuff that passes as lard, sourced from factory raised pigs. Naturally harvested mushrooms, i.e. those grown outdoors in the sun also produce decent amounts of vitamin D during the weeks they take to grow. So in traditional times, before the industrial farming practices used today, we would boost our bodies with vitamin D at the end of the growing season and maintain those levels with the pork and lard we stored over the winter. Is it any wonder that 'back in the day' osteoporosis was pretty much unheard of? In Cornwall, we are lucky in that there is a good supply of outdoor raised pork and lard but many would argue that it is too expensive. It is if you are comparing it to factory produced pork products, but at what cost? Surely it is far wiser to eat a little less and live a healthier life, than to consume more of the vitimin deficient cheap source and risk the pain and suffering of osteoporosis in your later years. With mushrooms, the solution is a lot easier, leave your pack of mushrooms on a sunny window ledge for a day before eating them. Even though they are harvested they will still produce vitamin D. If you cook them in outdoor reared lard, even better. One of the best suppliers of outdoor reared pork in Cornwall is Primrose Farm and you can order their products online here. 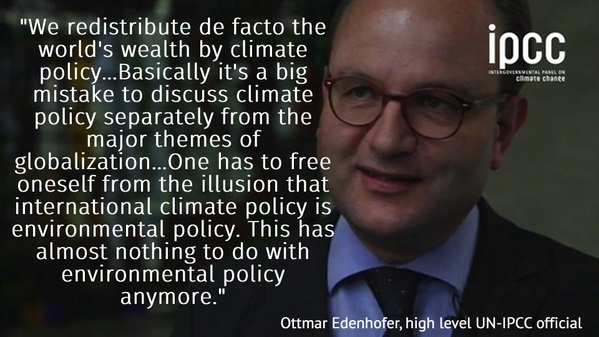 Here’s a practical way to understand the CO2 problem. Let’s go for a walk along it. The first 770 metres is Nitrogen. The next 210 metres is Oxygen. That’s 980 metres of the 1000 metres. 20 metres (66 feet) to go. The next 10 metres are water vapour. 10 metres (33 feet) left. 9 metres is argon. Just 1 more metre (3 feet). A few other gases, ozone, neon etc, make up 620mm of that last metre. The last 380mm is carbon dioxide. 96% of that is produced by Mother Nature. (fermentation, bush fires and volcanoes, much of it underwater). The recent Icelandic Volcano negated all the UK efforts made by us to reduce CO2. Of our journey of 1000 metres just 15 millimetres are left – about half an inch. That’s the amount of carbon dioxide human activity puts into the air. Of those 15 millimetres the UK contributes about 4% or 0.6mm of the 15 milimetres. The thickness of a credit card. or another 10 people in the 90 000 crowd at a Rugby match at Twickenham. What is the effect of higher CO2 levels in the air? At the start of the Carboniferous Era – some 350 million years ago – the CO2 in the air was about 12 times more than now (4200mm of the 1km). Despite this ‘dangerously’ high level of CO2 the world did not boil over. Instead there was an almost explosive growth of vast forests. For 50 million years the trees steadily grew and fell down to be covered up, crushed and eventually transformed into the extensive coal seams around the world. Vast quantities were absorbed into marine organisms to form chalk and limestone rock. The fungi that rots dead wood had not evolved then so the trees lay as wood. By the end of this era – some 300million years ago – the CO2 level was about the same as now. So where did all the CO2 come from and go? Controlled burns of forest land and agricultural stubble are an additional anthropogenic contribution. Probably wildfires started by arsonists should be considered anthropogenic sources of CO2 also! Maybe we should also consider the CO2 resulting from smoking tobacco and marijuana for a thorough accounting! Burning biomass merely accelerates the CO2 release. Burning a forest releases CO2 immediately rather than waiting for the trees to rot naturally. So the only differentiator between anthropogenic and natural is a few years. Then the regenerating forest sequesters CO2 for another cycle. The trees in the almost limitless forests that flourished then had absorbed it to become stored underground in coal. Even more was deposited as chalk and limestone. How come? Well let’s look at Wheat. To grow wheat five conditions are required. The DNA in the grain of wheat contains the instructions for the energy from the sunshine to combine the rainwater and CO2 by photosynthesise into carbohydrate as new ears of corn plus oxygen gas released into the atmosphere. i.e. more wheat. A similar process occurs in trees to make more wood. Any increase of the CO2 level in the atmosphere will increase the yield of wheat per acre . As a rough example the CO2 from one ton of jet engine exhaust could become an extra 1,500 loaves of bread. Reducing the CO2 level will give a lower yield of food per acre. Halve the CO2 level that we have now and it is estimated to just about extinguish most of the life on earth. As more information leaks out it has now become known that the warming effect of CO2 only was considered. All other gasses were ignored. 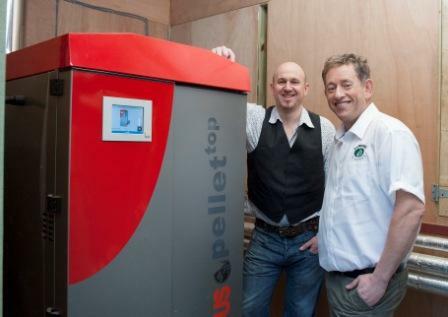 An award-winning 5 star B&B in north Cornwall is expanding after switching to biomass heating. 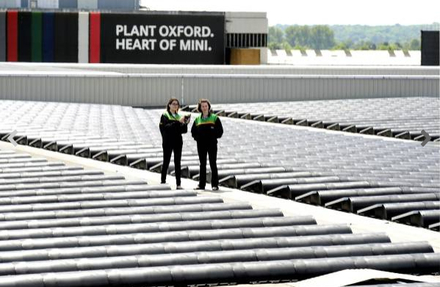 MINI PLANT IN OXFORD LEADS IN CARBON FOOTPRINT REDUCTION..
More than 11,500 panels are helping to harness renewable energy to power Oxford’s MINI Plant. "The Cornish black honeybee, once believed to be extinct but still extremely rare, could be key to saving worldwide bee populations from colony collapse disorder. According to the BBC, research from Paignton Zoo has shown the black bee is better at fighting off varroa mites. They carry the deformed wing virus, which has been implicated in the deaths of bees around the world. Colony collapse disorder is a term that applies to a range of unknown factors that has led to the widespread decline of honeybee populations around the world. It is likely to be a mix of many different issues coming together to kill millions of bees every year, threatening the human food supply chain. 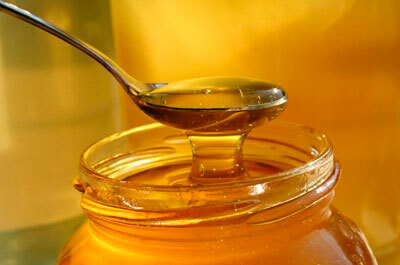 Colony collapse disorder is thought to be exacerbated by the limited range of bees that are bred by beekeepers. Black honeybees like the Cornish variety were thought to have been driven to extinction by a virus more than 100 years ago, with beekeepers having since relied upon southern European varieties. However, new populations were discovered on the fringes of the British Isles in 2012 by the Bee Improvement and Bee Breeders' Association, which has run a conservation program dedicated to the black bees since 1997. Fewer than one percent of British bees are native black bees, however. With larger bodies and thicker hair, the black bees are believed to be better able to survive longer and colder winters -- something that has become more of an issue with climate change causing irregularities in the British climate. A third of US honeybees were killed last winter, too, so winter hardiness is of major importance. It now seems that those larger hairs are also good at preventing the mites clinging onto each bee, making it harder for them to get infected with the deformed wing virus. The zoo hopes to encourage beekeepers to take on the breed, with the advantage that, at the very least, an increase in biodiversity will hopefully make one single colony collapse factor less devastating if it does strike." The British bee population has declined at an alarming rate over the last few years - by a third since 2007. There's also been a massive decline in the number of bee hives in the UK - nearly 75 per cent in the past century. Environment and rural affairs minister Lord Rooker said recently: "Bee health is at risk and, frankly, if nothing is done about it, the fact is the honeybee population could be wiped out in 10 years." 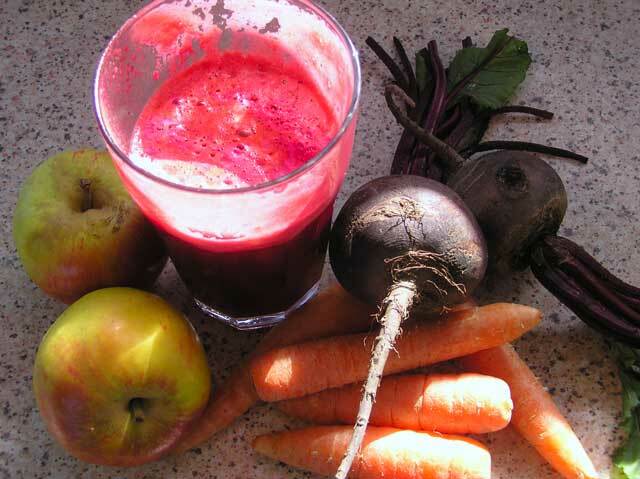 Jucie 3 small beetroot, 5 apples & 750g of carrots to make two big glasses full.